Cook Bengal gram according to package directions. Cool completely. 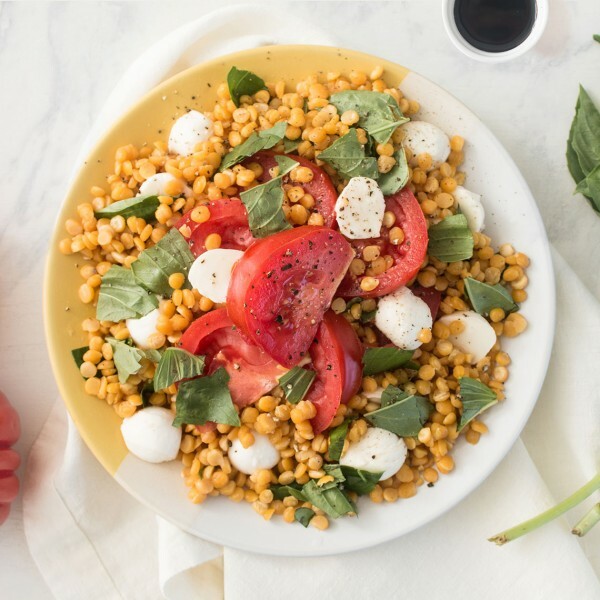 In a medium bowl toss together cooked gram, tomato, mozzarella, basil, olive oil, salt, and pepper. Drizzle with balsamic vinegar.